MUFF WIGGLER :: View topic - Who is building this modules and are they available? Who is building this modules and are they available? As this is the topic. Who is building this modules and are they available? Just found this picture. Looks like a very cool pulser. The modules are labelled "Human Comparator Stockholm", which is wiggler zthee. Haible Frequency Shifter. Or are they only for his personal use? 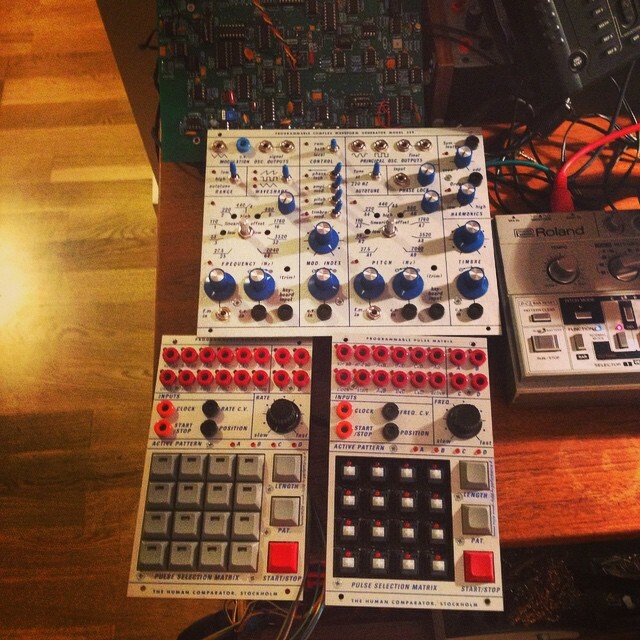 Looks like it would make a great Buchla drum machine sequencer. He also makes a great Serge TKB kit that I am working on. He is a really great guy and very reasonable. It seems this bêta module,Will be available around the spring ,No diy kit. Yeah, that looks pretty awesome, love the TR-909 style keycaps. no more in the wild. it was never commercialized. It is a fully compatible with the 200e program manager though. :( next Norther Light module?! Whats the source for the compatibility info? Anyone with a clue where to get these computer keyboard / TR-909 style buttons? I got the info from Zthee/Jon himself. Sascha and Myself have been interested into 200e compatibility - had a great chat with Jon around the time we started Northern Light.